Nowadays we have become experts in our own research. We use search engines on the world wide web as we would have once used the local library. Do you still visit your library? 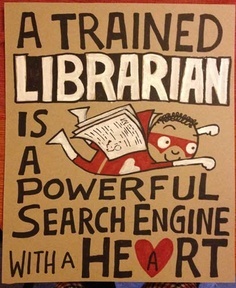 Do you know you librarian’s name? I have a friend and colleague who is smart and expert in her field as a librarian. And if I really need to know something she will direct me to it, with a smile and a kind wish. Google does not do that. I am reminded today that technology has its limitations. I am connected but distant, plugged in but not aways “on”. Let me encourage you to get to your local library today.